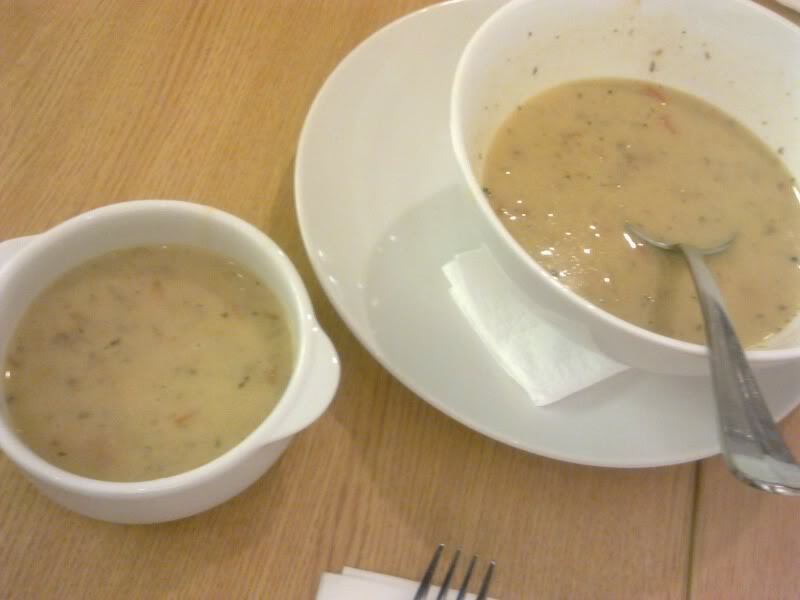 My sister disliked the soup because it wasn’t thick enough but Sho and I loved it! It was very savory, with ample ingredients. The dense texture of the bread complimented the soup very well. WIN. 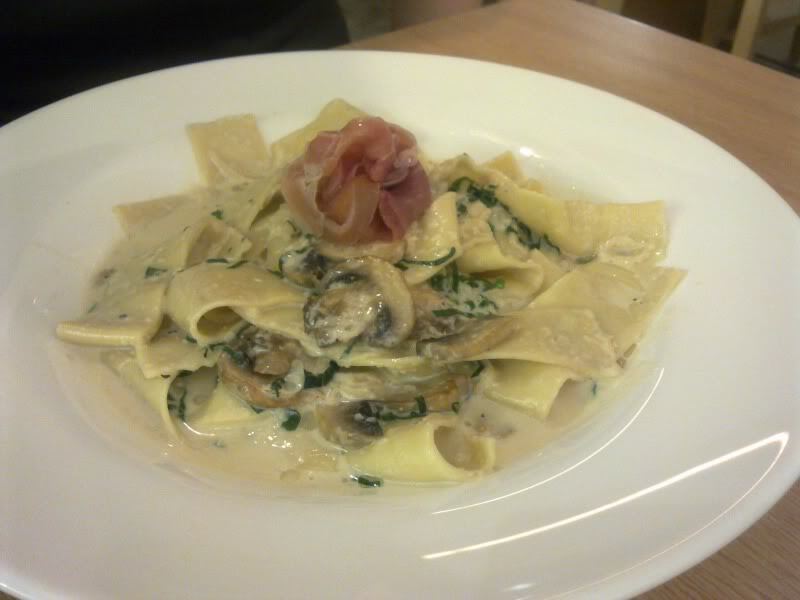 My sister’s parma ham pasta was the best of the three. She said that was because she added almost the entire bottle of tabasco in it. But what could go wrong with cream? Unfortunately, the parma ham had a very, very very porky taste that when my sister and I ate it, we scrunched our faces and forced ourselves to swallow the ham. I had to drink a lot of water to wash down the pork stench. 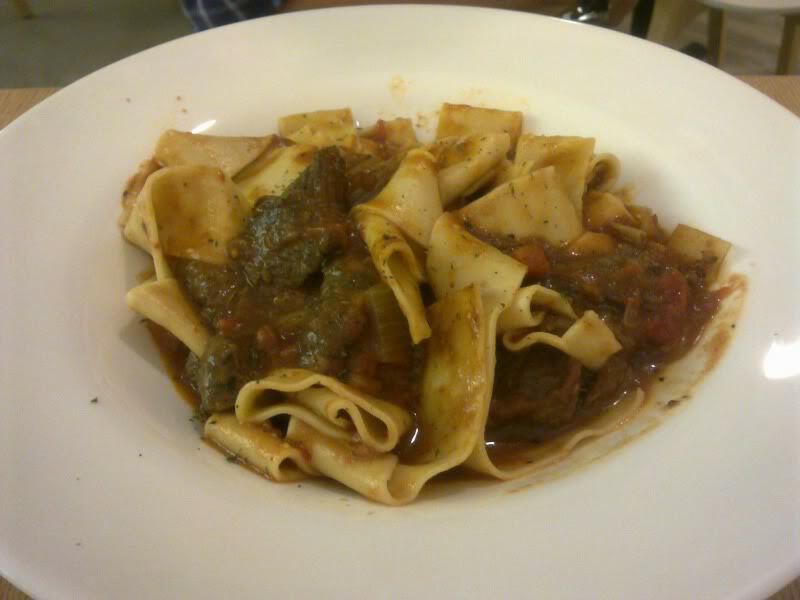 Beef stew paste: The beef wasn’t soft enough. For all the three pasta, the pasta was too hard and they sticked together. Like bad ban mian. To be fair, everything was handmade and I have never had a good squid ink pasta. 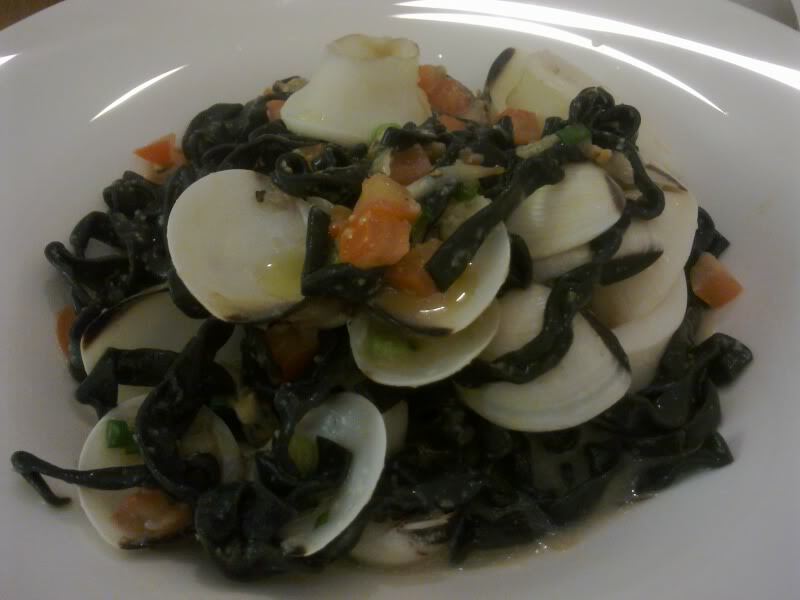 Even in New York, when I ate at Centro Vinoteca, in which one of the judges from Top Chef works, the squid ink pasta was horrible. 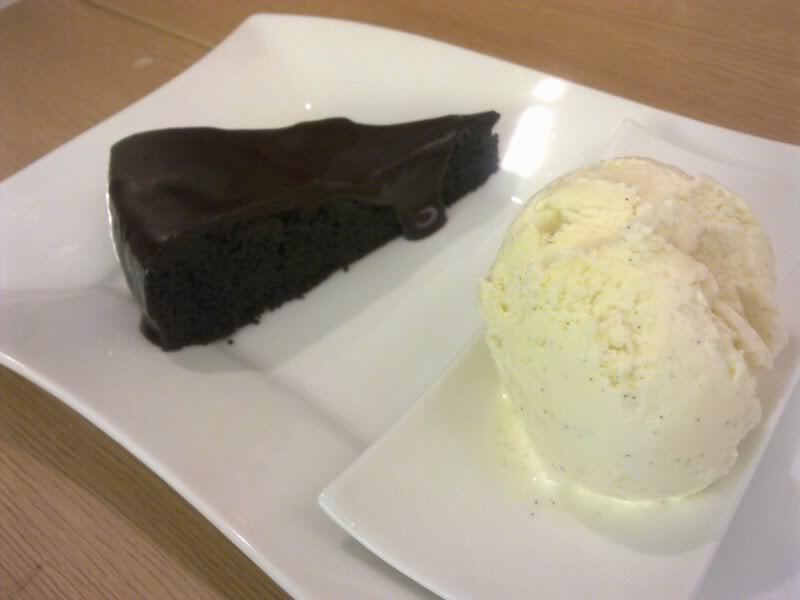 Every reviewer praises how great the chocolate cake is – it was good but i don’t think it approached greatness. Sho reminded us that the nutella cake at Everything With Fries was much better. Decor: whitewashed, with lots of wood, a very clean look. there were rivets, bolts and nuts everywhere, so that’s the “theme” of the restaurant. But I think such whitewashed minimalistic look is soulless and common and doesn’t have any character.